Bring life to your surrounds and create a more welcoming environment. The possibilities are endless with so many different sizes and combinations available. 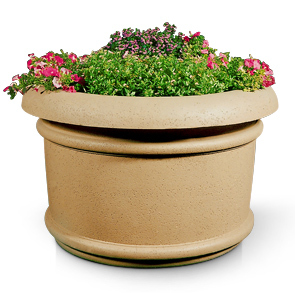 These commercial grade, rebar reinforced round concrete planters are ideal for planting flowers, bushes and trees. The heavy construction of concrete is strong enough to support even large root systems. Drain holes are standard.